San Diego plays a major role in maintaining the national security of the United States. Periscopic Tree for Homeland Security addresses the current political landscape with a sense of humor. Our nation’s leaders have informed the general public to remain ever watchful and alert. In light of this environment and San Diego’s history as a part of the military industrial complex, we have created an urban tree that helps to fulfill this purpose. 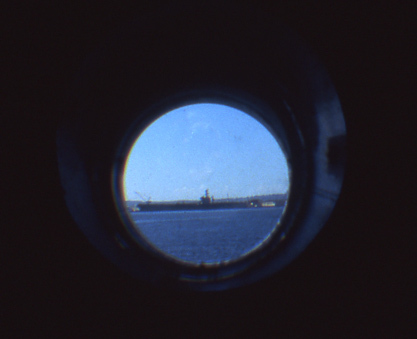 Periscopic Tree for Homeland Security is fitted with optics, making it a working periscope. The tree keeps a constant vigil, its gaze fixed on the bayfront, shipyards, airport, etc. Passers-by are encouraged to play an active role in national security by scanning the local landscape for suspicious activity. Its 360-degree swivel action also allows viewers to gaze into the windows of the local seat of government located directly across the harbor drive. True to its naval heritage, the Periscopic Tree is painted from trunk to steel canopy in stylish battleship gray. 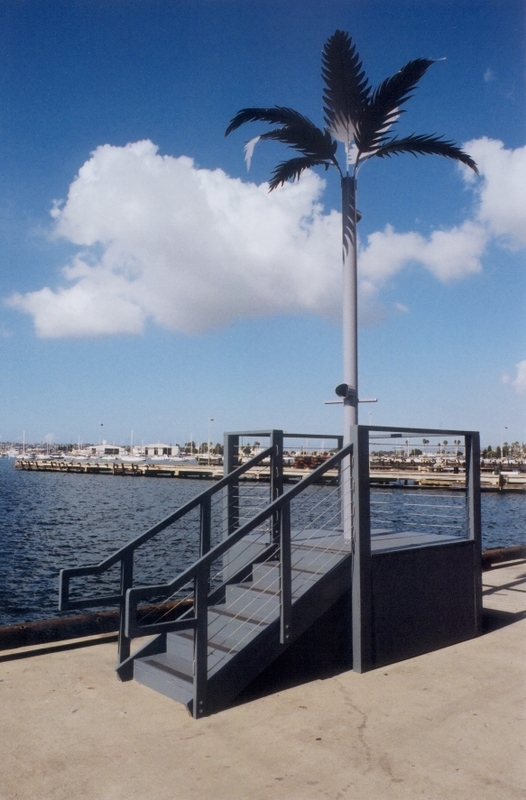 Periscopic Tree for Homeland Security was produced with funds from The Port of San Diego. February 10, 2011 | Filed under Headers, Projects and Works.